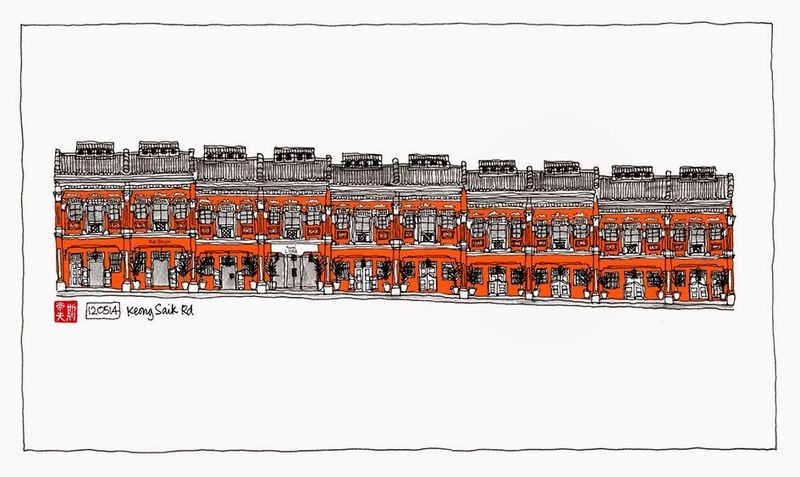 Having sketched the end three houses last weekend, I decided to doodle of all of the orange bits of Keong Saik Road. The sketch took around three hours, excluding a break for a yaki udon in the Chinatown Complex. The orange, which was added in Photoshop, took almost as long.